2015 Calendar of Events Loaves of Love Torah and Tea Music, Mitzvot & Martinis + Chocolate Making Art & Soul. Living Ceratively. READ THE HIGH HOLIDAY PRAYER BOOK IN HEBREW! Have you ever wished you could read the Prayer Book or Torah in the ORIGINAL HEBREW? Now YOU can! 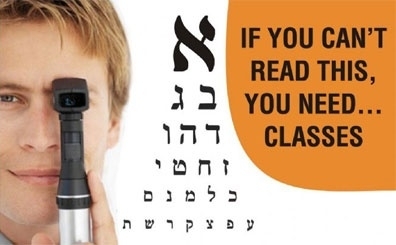 Join our 3 lesson Hebrew Reading Course with Rabbi Avi who has trained many hundreds of people just like you to read Hebrew like a native! Guaranteed or your money back! Any ages from 15 and up.